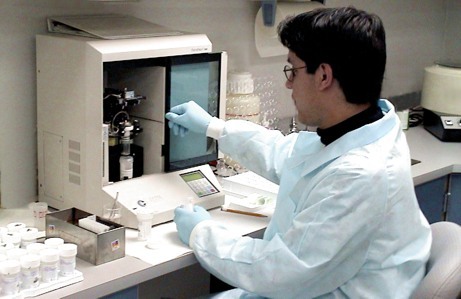 At Capital Choice Pathology Laboratory, we pride ourselves on providing state-of-the-art diagnostic support for clinicians dedicated to the finest patient care. You'll appreciate our care from the front office and nursing station to the exam room and back office as we free you and your staff to focus on serving your patients. A full suite of histology technical services, board certified pathologists and sub-specialty consultations, gyn cytology screening using the ThinPrep Pap Test, human papillomavirus (HPV), Chlamydia and gonorrhea testing featuring the best and most innovative technologies is available to provide your patients with the best care possible. Interested in a career at CCPLab - Adventist HealthCare? Search Job openings! Physician groups are discovering they can significantly increase their practice's income by performing anatomic pathology services on-site. By doing so, they can bill directly for these services that would otherwise go to an outside laboratory. As a commercial laboratory with years of experience serving clinicians like you, we can help you setup and manage your own in-house pathology laboratory. Let our board-certified experts show you how you can take advantage of this new revenue source at your practice. To speak with a board certified laboratory manager, call 1-877.549.2642 and press 6.